Spark Ballymena will be returning to the streets of the town and surrounding villages from Monday 29th July-Friday 2nd August 2019. The organisers would love you to sign up! 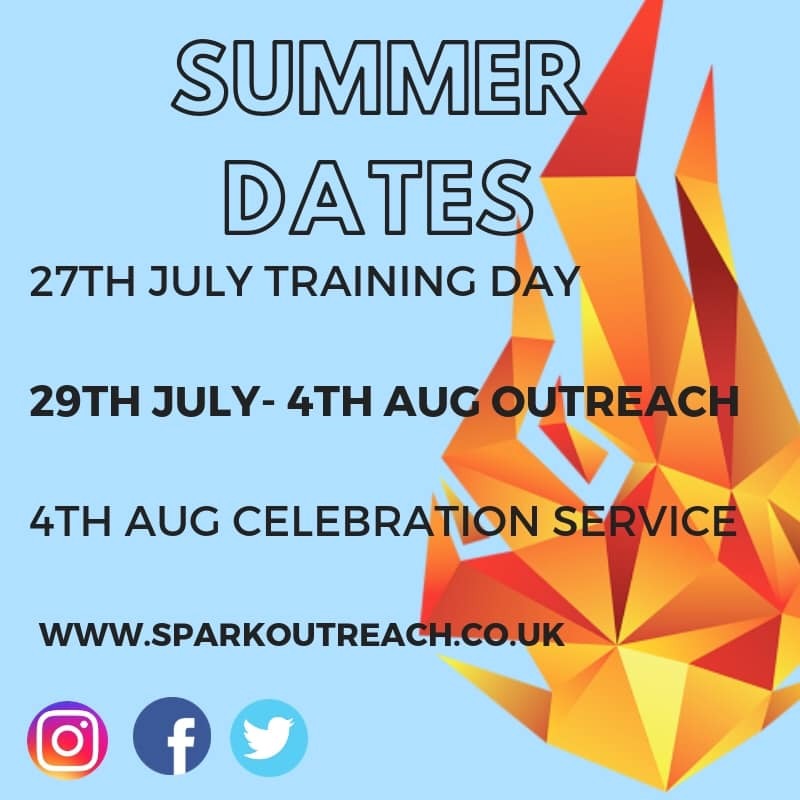 For anyone who is unfamiliar with this community outreach, Spark gathers local Christians together, aged 13+, in the Ballymena area to practically serve God and love others in a variety of ways. The Spark teams offer to help with things such as free gardening, car washes and litter picks. They also organise youth drop ins, cafes, sports, music and late night events. Young people living bold, passionate and powerful lives in Jesus Christ because they’ve accepted Him in their hearts – through the Word, worship and prayer. The vision is seeing young people being transformed in to the likeness of Jesus – in character and desires; seeing them trying and embracing their gifts and being sent into the world where they are prepared and equipped to live out the Kingdom. Ballymena and the surrounding area being shaken up by the love of Jesus; seeing the lives of people in the town being changed by the gospel. This year, the morning worship sessions will be held at High Kirk Presbyterian Church on Thomas Street, Ballymena. There will also be a Training Day on Saturday 27th July 2019 and a Service of Thanksgiving on Sunday 4th August 2019. Both of this will also take place at High Kirk Church. from Monday 29th July-Friday 2nd August 2019. For more information or to sign up, log on to the Spark Ballymena website here.